April is Fair Housing Month… come learn about the new laws that affect fair housing and why it is so important to comply with these laws. 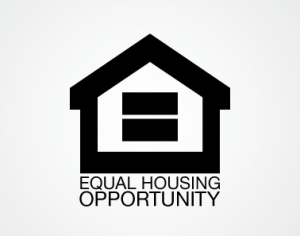 The importance of fair housing for all in the rental industry. New laws that the affect fair housing. Steven R. Hrdlicka, Esq. specializing in representing owners and managers of rental properties in Central California. He is also an owner of commercial and residential rental properties. Mr. Hrdlicka is an active member of the California Apartment Association and has acted as the Chairman and State Delegate for the Greater Fresno Division. He currently serves as the Education Chairman for CAA of Greater Fresno. Note: This event has been sold out. Kevin, I don't say this often, but from the second we began this relationship you have been nothing but a wealth of knowledge and a tremendous help. I cannot thank you enough for being so flexible with us. Thank you again! Andrea was very helpful and thorough. She provided different points and angles to my question for my consideration. In her questions she revealed that we need to revamp our internal paperwork and provided references from CAA's forms. I was very satisfied and felt confident in the decisions our company needs to make regarding the matter we sought with CAA. Thank you CAA. We appreciate your help. We could not have accomplished the defeat of Measure C without CAA. We have been CAA members for over 30 years and membership fees have been returned to us “100 fold” with protection of our rental owner rights and the defeat of rent control in Santa Rosa. We at Pine Creek and Goodwin Property Management thank CAA for always supporting us. I recently needed to take a few hours of classes to complete my Recertification as a CAA California Certified Residential Manager. I found it very convenient to do this through on demand classes at my office. The classes are well done and gave great education to further my property management skills. I even registered my maintenance team to listen to some of the classes. It benefited us all. Dear Ms. Moss, I want to personally thank you for your timely and very professional response. You are very thorough AND you provide examples and attachments how to find solutions and how to address the issues effectively. 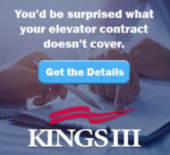 What you did would have taken me hours of research and still I wouldn't feel as confident in my ability because I am not up to date on how certain areas of a contract are practiced. I was wary about joining CAA but after today I know I did the right thing and plan on continuing my membership for a long time. We have been a CAA members since 1984. CAA has provided us the guidance needed to successfully manage our property. The rental forms keep us on solid legal ground which has minimized our management workload and helped us maintain quality housing for our clients. 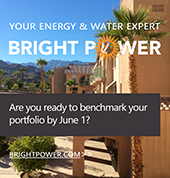 Your weekly e-news keeps us appraised of property management issues to be on the lookout for. Your work in the California State legislature in Sacramento has provided valuable representation for our industry. Keep up the excellent work! I recently needed to take a few hours of classes to complete my Recertification as a CAA California Certified Residential Manager. I found it very convenient to do this through on demand classes at my office. The classes are well done and gave great education to further my property management skills. I even registered my maintenance team to listen to some of the classes. It benefitted us all. Thank you CAA! I would describe CAA as my "Best Friend" in this venture called LANDLORDING. So happy you are there! I just want to say Thank You Team at CAA. Being a Landlord in California is frightening enough -- but with you, not as scary! I just know someone on the team understands!